Citizens of Cuyahoga County, Ohio are moving their activities inside, with winter right around the corner. However, just because winter is approaching doesn’t mean you can’t have fun indoors! 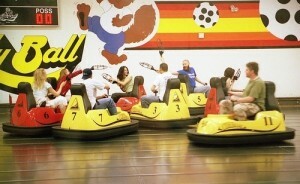 WhirlyBall & Laser-Sport in Bedford Heights, Ohio offers a fun and unique gaming experience for the whole family! This spacious indoor sports facility offers party areas and catering options to make that special event even more fun! Whether you’re from Parma Heights, Ohio or Cleveland, Ohio, WhirlyBall & Laser-Sport is the place to be this winter! Why choose WhirlyBall & Laser-Sport? Located in Bedford Heights, WhirlyBall & Laser Sport offers a fun and unique gaming experience that the whole family can enjoy. Using a combination of several popular sports, the WhirlyBall game itself is truly a gaming experience unlike any other. With its spacious indoor sports facility, you’ll feel like you’ve entered an indoor amusement park. Not sure the WhirlyBall game is your thing? That’s fine, because WhirlyBall & Laser-Sport offers Laser Sport and bowling! 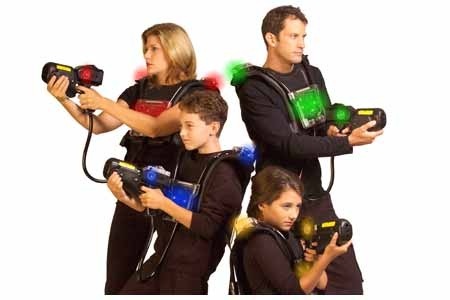 With Laser Sport, you can enjoy a futuristic, team orientated live-action sport! If that’s not your thing, just have some slower paced fun with bowling. Whether you’re 5 or 50, there’s bound to be something for the whole family to enjoy! Looking for a fun party location? WhirlyBall & Laser-Sport offers party areas and several catering options to get that special event from fun to fantastic! This spacious indoor facility can hold 10 to 300 people, so come right in and enjoy! Plus, coming in November, WhirlyBall & Laser-Sport will be offering private bowling. Also offering beer and wine, you could take a seat on their outdoor patio with a cool drink and relax after a well played game. Located close to Cleveland and Parma Heights, this location in Cuyahoga County is the place to be this winter. Bring a friend! So what are you waiting for? WhirlyBall & Laser-Sport in Bedford Heights, Ohio is a fun and unique gaming experience to send the party to with one of their great party areas available with catering options. Cleveland, Ohio and Parma Heights, Ohio citizens shouldn’t shy away from this spacious indoor sports facility either. Why miss out on all the fun? For more information on pricing and how to make a reservation, visit WhirlyBall & Laser-Sport’s website at www.whirlyballcleveland.com or call (216) 591-0707 to get your Cuyahoga County, Ohio party plans in motion. This entry was posted in Entertainment, Recreation/Sports and tagged catering options Cuyahoga County Bedford Heights Parma Heights Cleveland Ohio, fun and unique gaming experience Cuyahoga County Bedford Heights Parma Heights Cleveland Ohio, party areas Cuyahoga County Bedford Heights Parma Heights Cleveland Ohio, spacious indoor sports facility Cuyahoga County Bedford Heights Parma Heights Cleveland Ohio, WhirlyBall/LaserSport Cleveland area Ohio by admin. Bookmark the permalink.